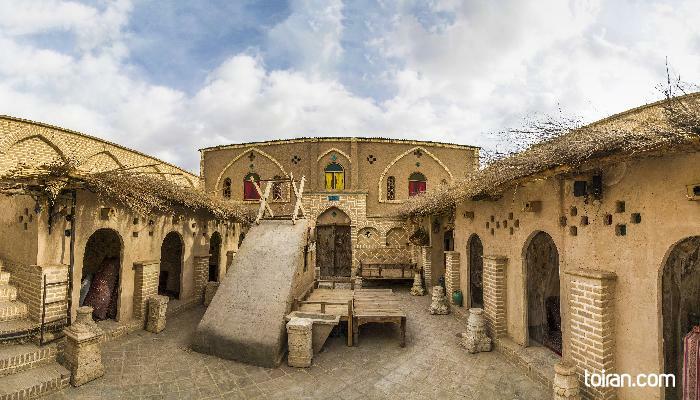 The city of Qom is located 125 kilometers southwest of Tehran on the banks of the Qom River in a province of the same name. 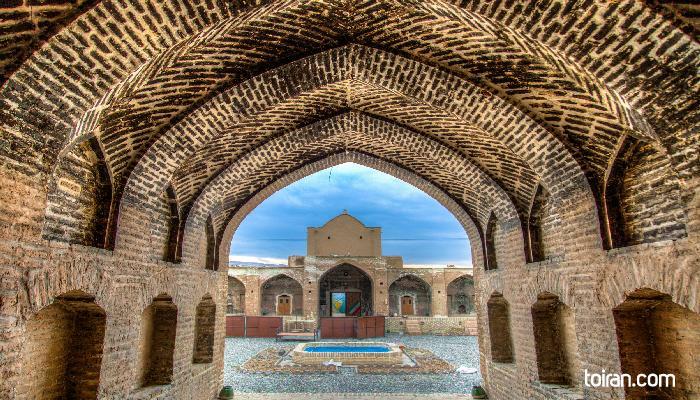 Its proximity to the Great Salt Desert of Iran (Dasht-e Kavir) has given this city hot semi-desert climate with warm summers and low annual rainfall. Excavations at Sialk Mound (Tepe Sialk) indicate that the region has been settled since the Early Neolithic era. 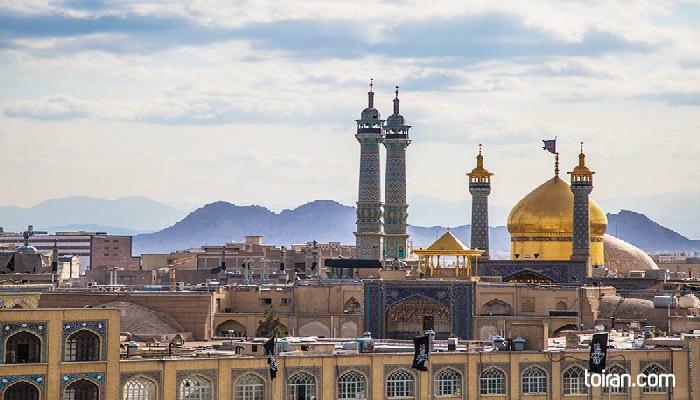 However, the history of the current city of Qom dates back to the Sassanid era (226–651 CE). Qom is the second most sacred city in Iran after Mashhad. 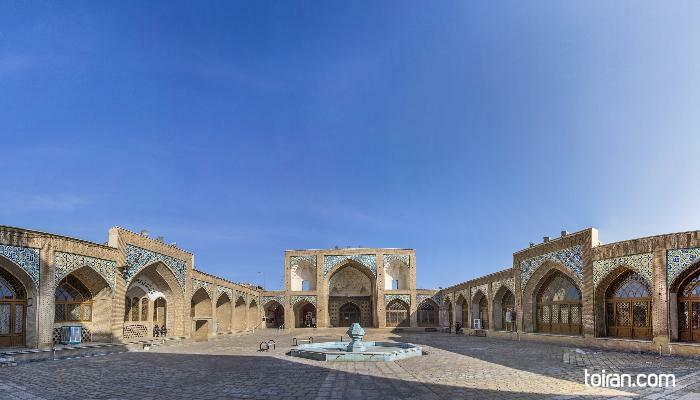 It is one of the most important centers of Shia Islam and has one of the best-known seminaries (Howzeh) in the world where Shia scholars are educated in jurisprudence. 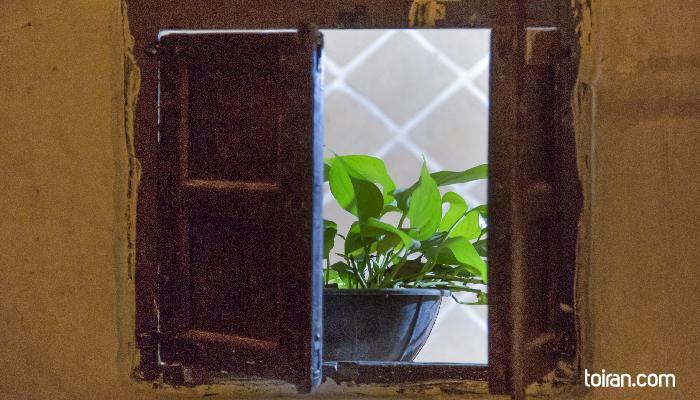 The foundation and expansion of religious educational centers has turned the city into one of the richest sources for books on religion, humanities and literature in Iran and the Middle East. 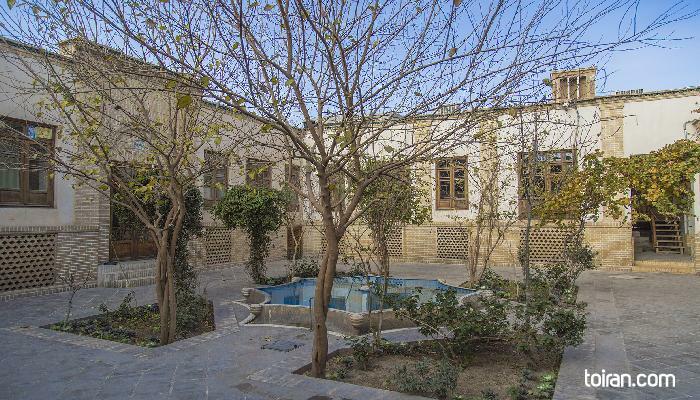 Qom boasts several libraries with a collection of rare and precious handwritten manuscripts. 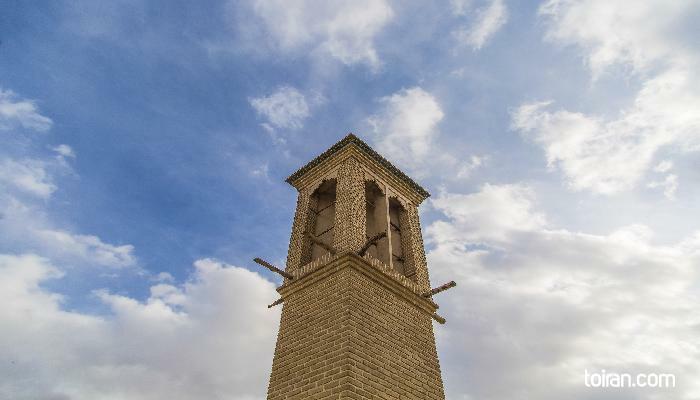 Due to the practice of the principle of ijtihad- the reinterpretation of Islamic law to match the circumstances of the day- Qom is also the city from where some of the most prominent religious movements and progressive religious decrees (Fatwa) in Shia Islam have originated. The city played a decisive role in the 1979 Islamic Revolution of Iran. Ayatollah Ruhollah Khomeini (1902-1989), the charismatic founder and leader of the Islamic Revolution, taught in Qom and organized the anti-Shah movement from there. Upon returning from exile and the victory of the Revolution, Ayatollah Khomeini settled in Qom and governed the country from there for a short period. One of the major attraction’s of the city is the Fatemeh Masoumeh (AS) Shrine, which has been built in memory of the sister of the eighth Shia Imam, Ali ibn Musa al-Reza (765-819 CE). With its many mosques, the shrine is a pilgrimage site where numerous Muslims visit on a daily basis. Several clerics, scholars and monarchs have been buried within the shrine including Safavid rulers Shah Safi (1611–1642), Shah Abbas II (1632–1666), Shah Suleiman I (1647–1694), and Shah Abbas III (1732- 1739) as well as Qajar kings Fath-Ali Shah (1772–1834) and Mohammad Shah (1808–1848). Qom is also known for its magnificent carpets. 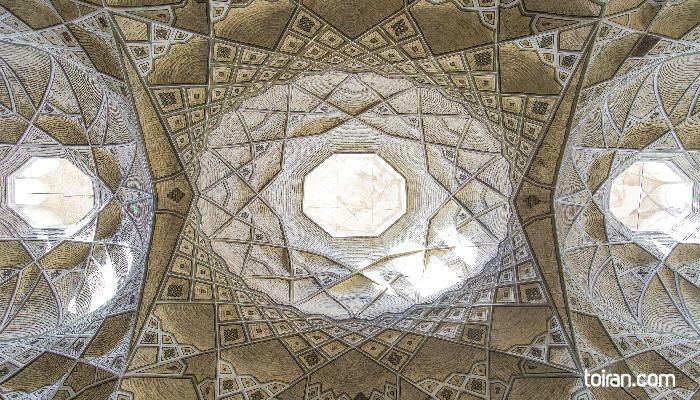 The Qom is one of the five Persian carpets registered as World Intellectual Property and is usually made of silk or wool and has tree of life and medallion motifs. The city’s natural attractions include Qom Salt Lake, Howz Soltan Lake and Kohak Cave. Due to its religious significance the city has several hotels where pilgrims can stay. Prominent figures from Qom include traditionalist, scholar and theologian Al-Shaykh al-Saduq known in the West as Ibn Babawayh (923-991), scholar of Principles of Jurisprudence Mirza-ye Qomi (1738-1815), Shia Source of Emulation Seyyed Hossein Tabatabaei Qomi (1865-1946), Shia Hadith scholar Sheikh Abbas Qomi (1875-1940), poet Shatter Abbas Sabouhi (1897-1937), writer, researcher and translator Shojaeddin Shafa (1918-2010) and theologian and towering figure in modern Shia political thought and praxis Musa al-Sadr (1928-?). Sohan- A brittle, caramel-colored toffee made of wheat, rosewater, sugar, butter, saffron and cardamom cut into 5-6mm thick disks or square bite-size pieces topped with almond slivers and crushed pistachio. Qomnabeet Abgousht - A thick soup with lamb, legumes, potato, tomato, dried tarragon and Kohlrabi (locally known as Qomnabeet) served with bread and fresh herbs. Ash-e Alou va Adas– A thick soup made of lentil, black plums, split peas, rice, leafy greens like spinach, carrot and minced meat.